ClearSlide frequently hosts live webinars to promote knowledge & strategy sharing with our customers and the larger sales community. 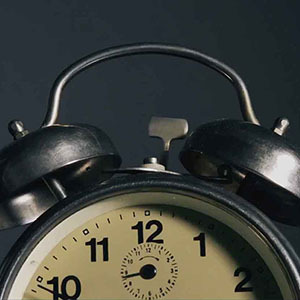 Below are past webinars available for your viewing pleasure anytime. 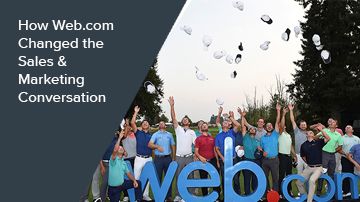 If you have ideas or would like to partner with us on upcoming webinars please get in touch. 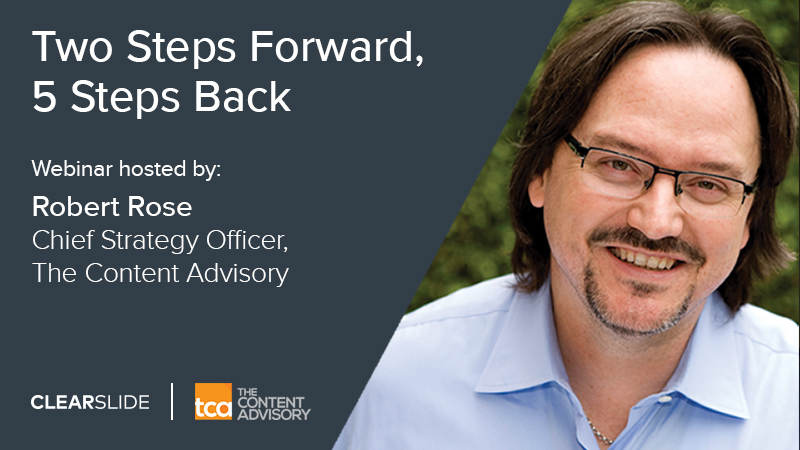 Join Robert Rose, Chief Strategy Officer for The Content Advisory for this must-see webinar for both sales and marketing professionals. 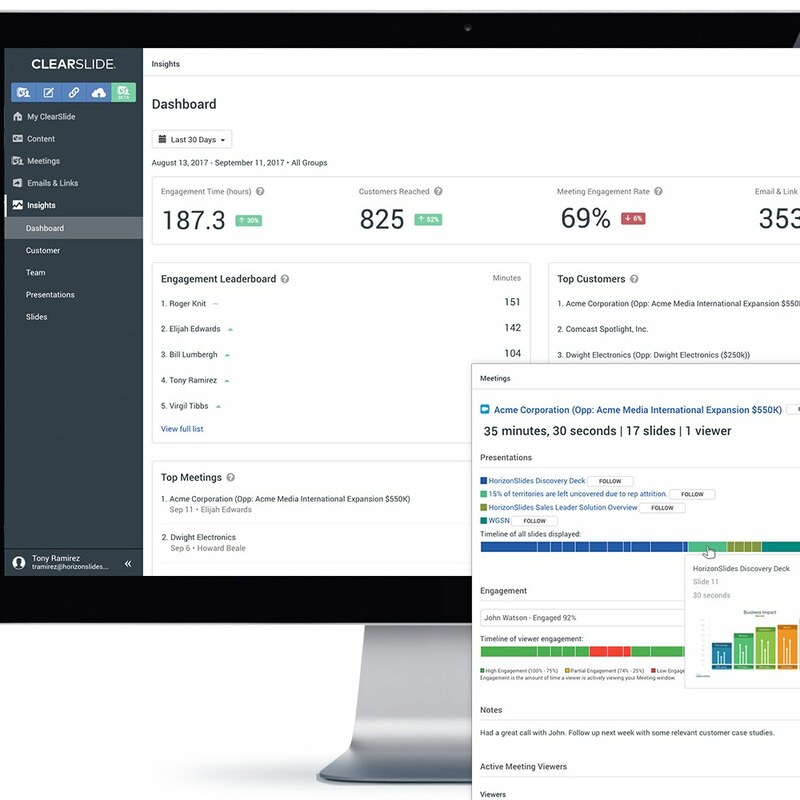 You will discover how content-marketing and sales-enablement teams can create effective and measurable strategies together using engagement engines to drive better alignment. 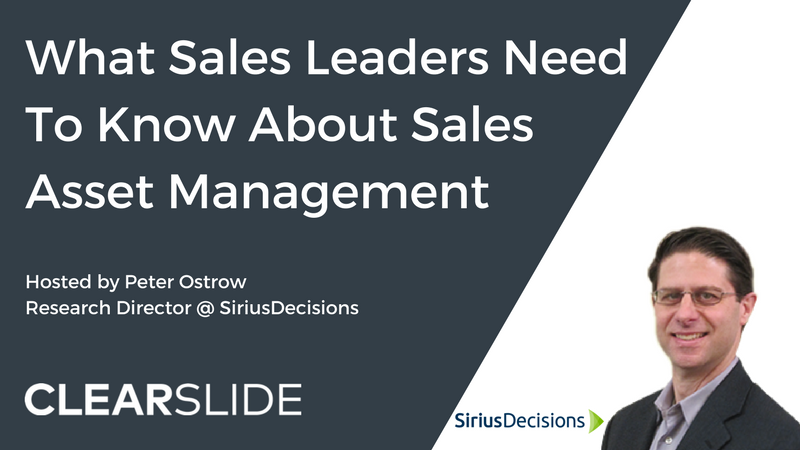 Join this must-watch webinar for sales, sales enablement, and marketing professionals. 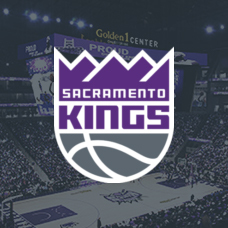 Hear how the VP of Sales and the Marketing Strategy Manager at Web.com developed a win-win content strategy. 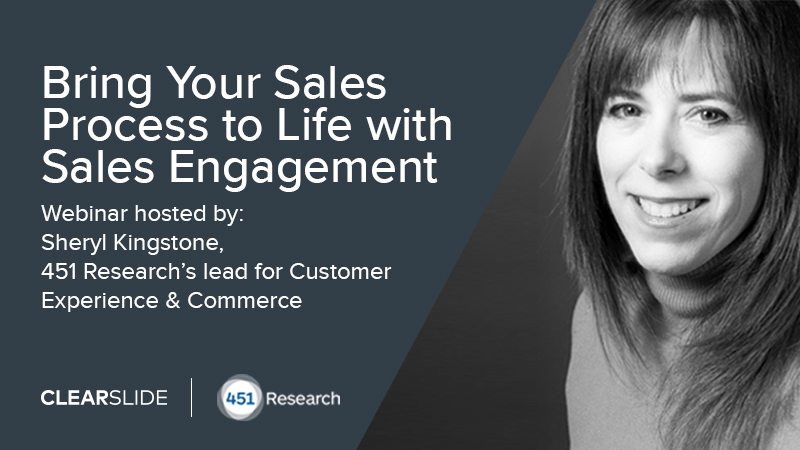 Join 451 Research’s lead for Customer Experience & Commerce, Sheryl Kingstone and learn how to utilize Systems of Engagement to improve win rates. 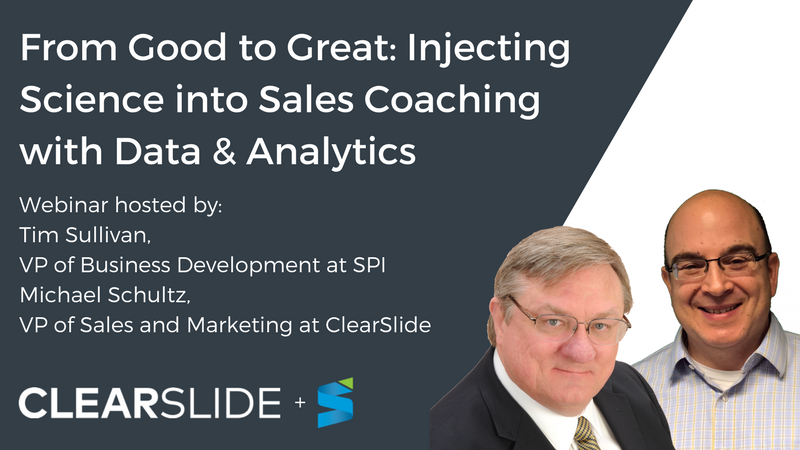 Join the SPI’s VP of Business Development, Tim Sullivan, and the VP of Marketing at ClearSlide, Michael Schultz, in a dynamic discussion on injecting science into the art of sales coaching with data and analytics. 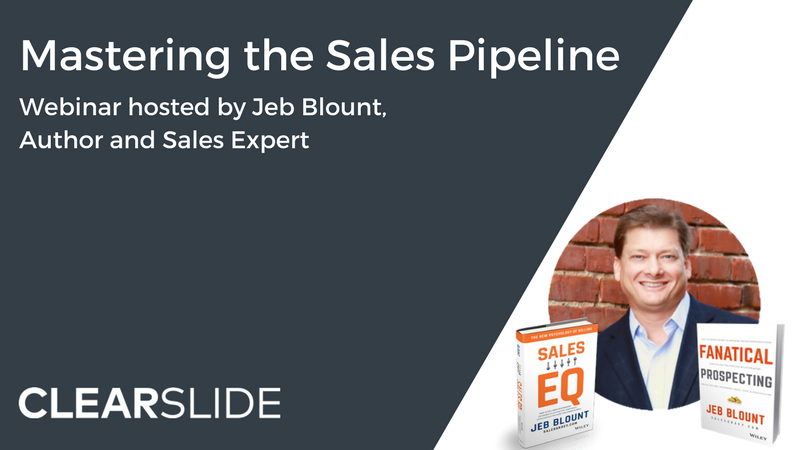 Join sales expert Jeb Blount as he goes over real sales pipeline building techniques that work with real prospects, in the real world. 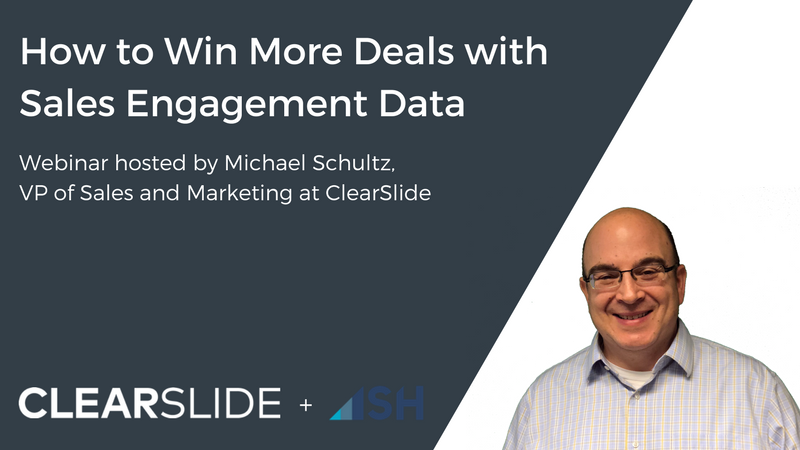 ClearSlide’s VP of Sales and Marketing, Michael Schultz, outlines the ideal framework for increasing sales in your organization with sales engagement data in this informative Sales Hacker webinar. 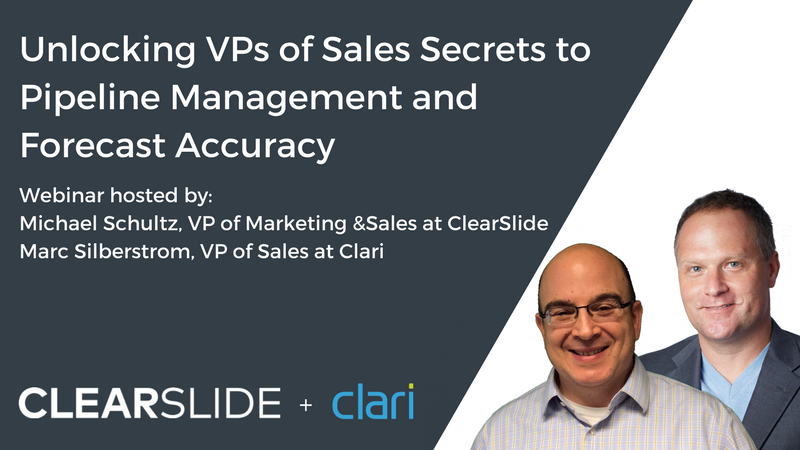 Listen in to a dynamic discussion among two top VPs of Sales (Clari & ClearSlide) of fast growing organizations, laying out their secrets to success and how they drive forecast accuracy and the sales process rigor required to scale and hit revenue goals. 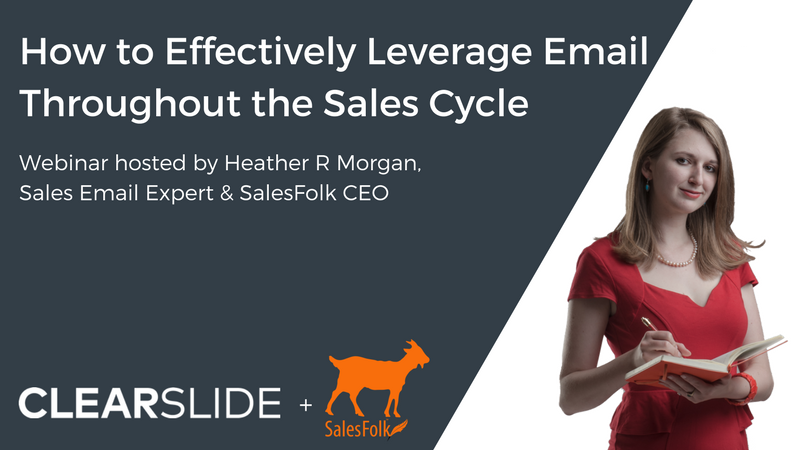 Join cold email expert and Salesfolk CEO, Heather R Morgan, to learn how you can effectively leverage email at every stage of the sales cycle. 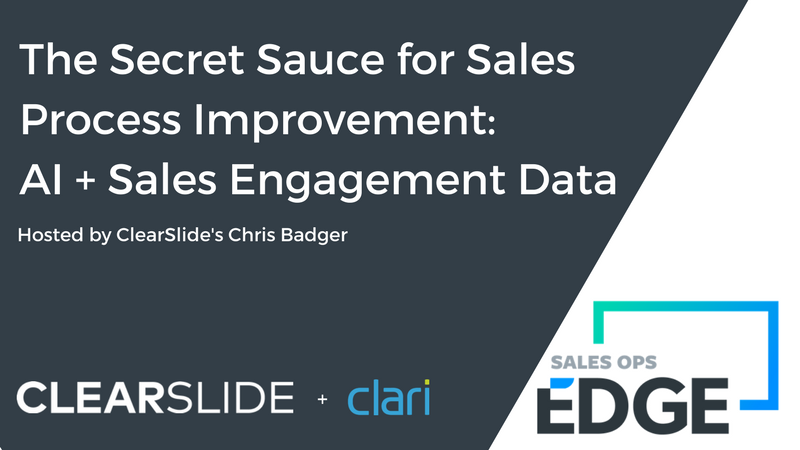 Explore trends currently seen in the sales enablement and engagement space while learning best-in-class approaches and researched tactics to create truly amazing sales experiences. 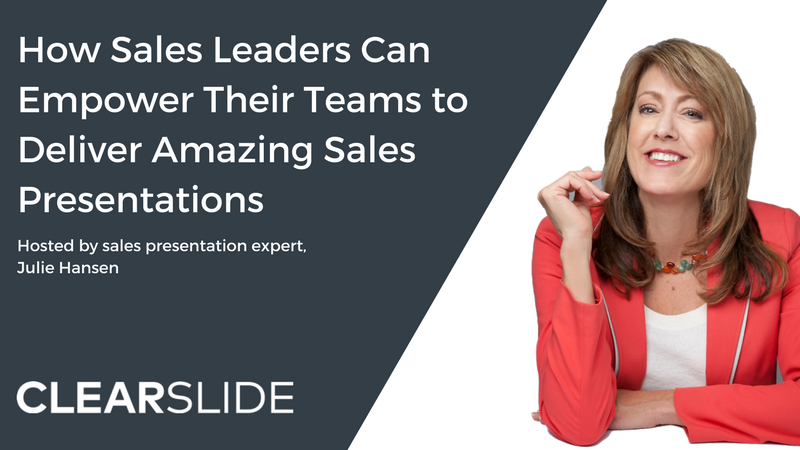 Julie Hansen walks us through how to present prospects and customers with the customized sales experiences they’ve come to expect. How will Artificial intelligence (AI) improve sales processes and drive revenue for organizations? Join Chris Badger as he discusses the latest research and insights from the Wall Street Journal, Athena Healthcare, and more. 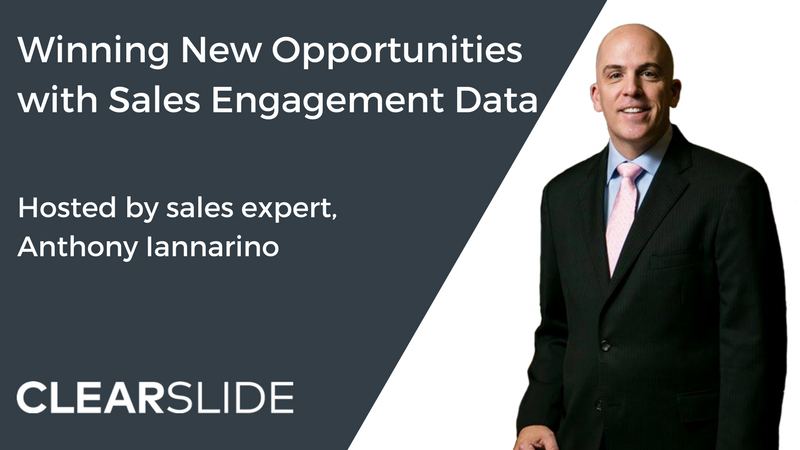 Join renowned sales expert and one of Forbes’ Top 30 Sales Influencers, Anthony Iannarino, as he demonstrates how to leverage sales engagement data and use prospect interactions to gain more commitments. 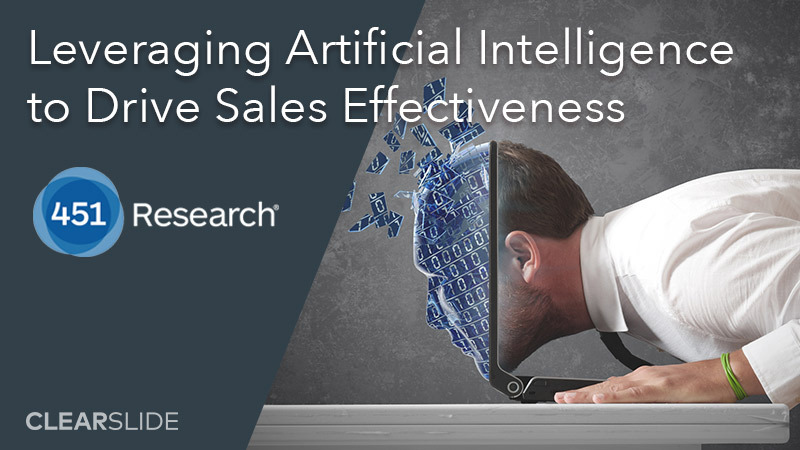 Hear from 451 Research on how innovative sales teams are using new data sources and artificial intelligence in their daily practice. 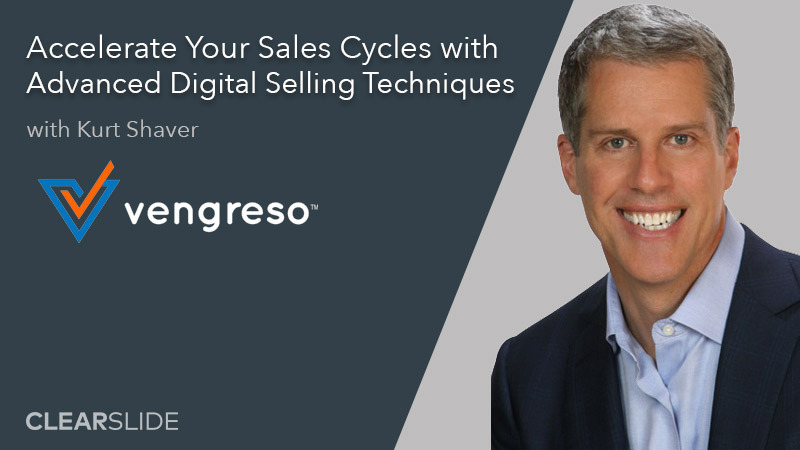 Join digital sales expert Kurt Shaver to learn how practices like content marketing, email campaigns, and personal video are accelerating sales cycles.